Also featuring Gabrielle Motarjemi, Valentina Simi, Sherrie Dobrott, and Glenn Havlan. 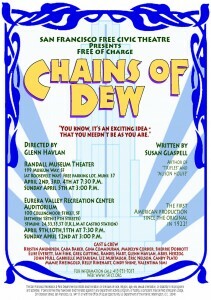 Here are 100+ photos of “Chains of Dew,” produced by the San Francisco Free Civic Theatre, directed by Glenn Havlan. Kelly Rinehart as Nora Powers, John Hull as Leon Whittaker, Ariel Herzog as James O’Brien, Greg Gutting as Seymore Standish, Mamie Rheingold as Dotty Standish, and Kristin Anundsen as Mother Standish. 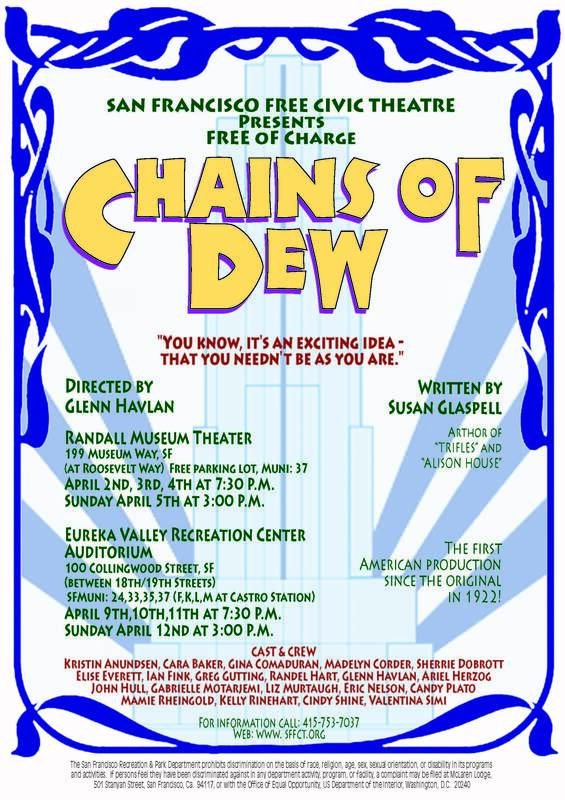 This was the first professional revival of this play since the original in 1922!